Hello, my name is Diana Lacroix and I am the editor of this blog. 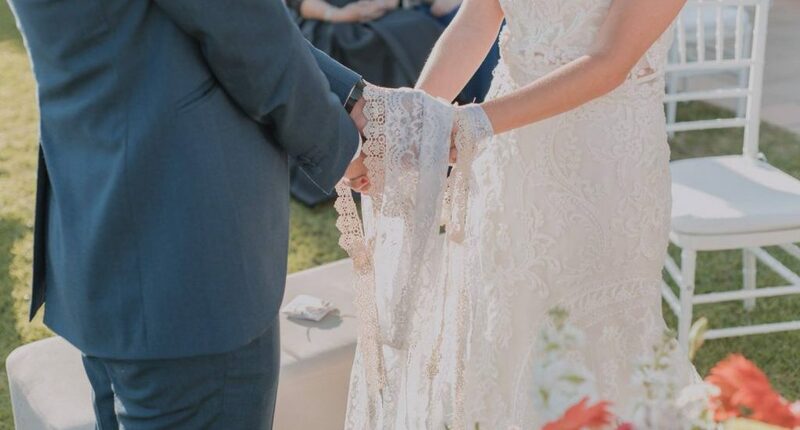 After 5 years in the world of weddings and after the experience of my own wedding, I have launched myself to offer my services a wedding celebrant. 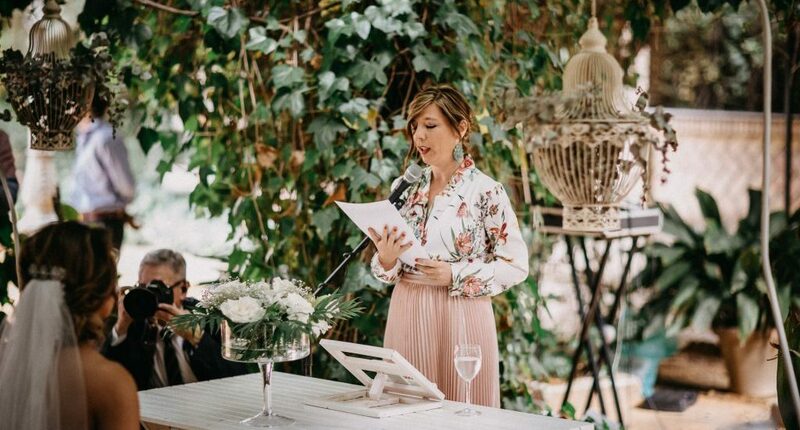 I've noticed that in the South of Spain it is very difficult to find a passionate person that helps you create a beautiful personalized ceremony full of emotions. in any other language than Spanish. Being born and brought up un Belgium I speak various languages quite fluently: Spanish, Dutch, English and French. Are you searching for a person that can help you set up a personalized and emotional wedding ceremony? 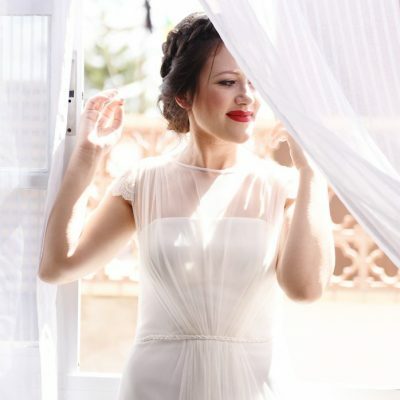 I, Diana Lacroix want to help you to enjoy an unforgettable wedding day for you and your guests. 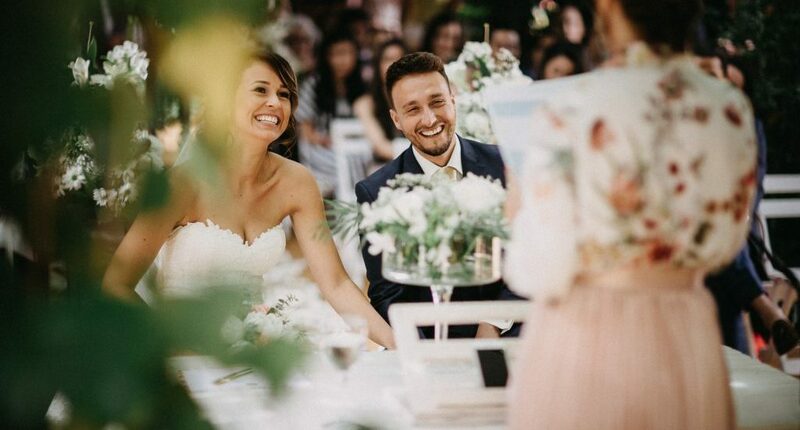 I will help you to create a beautiful humanistic ceremony, full of emotions, written especially for you and I will perform the ceremony on your wedding day. I cover Seville, Huelva, Cádiz, Córdoba and Málaga. I offer you my service to help you create a structure and a 100% personalized script for your ceremony. 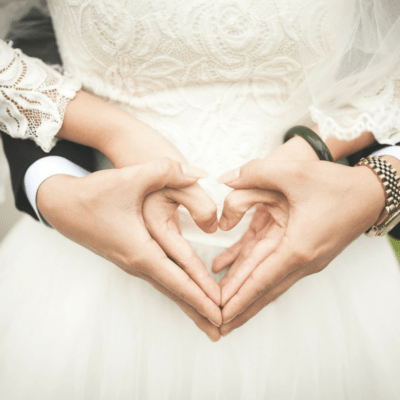 I will share with you inspiration for the vows, the readings and I will help you to know the symbolic rites that you can include in your ceremony. Musical advice. I will guide you through the complete structure of your ceremony, telling you what moments of your wedding need a special song. I will share with you my playlists with songs for every moment of the wedding. Bilingual Weddings. Your partner is from another country and you dream of a wedding celebrated in two languages? I speak Spanish, English, French, and Dutch fluently and I can celebrate your ceremony in two languages. Give your guests the pleasure of being able to participate in such an important moment of your lives. You can contact me any time , writing an email or calling me at 646.66.24.14. I will explain my services and next we can set a meeting in person or through a Skype call. If after knowing me and my way of working you want me to book me for your ceremony, I will be happy to start preparing your ceremony. 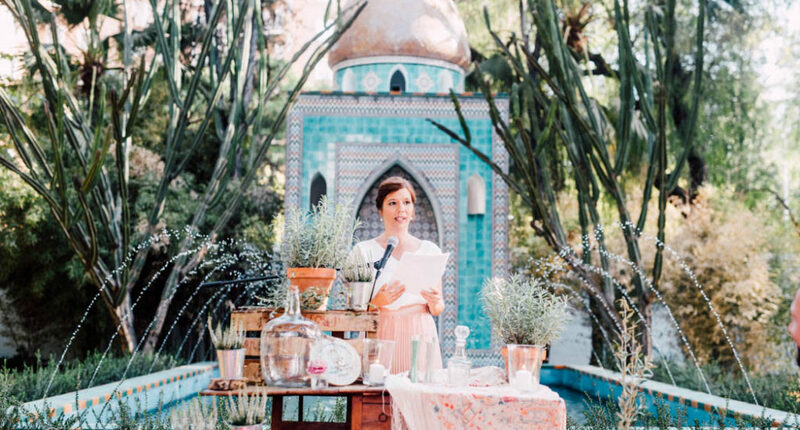 For our Spanish-Dutch wedding we had the challenge of finding a bilingual wedding celebrant After getting to know each other through video conference, Diana involved us through every step of the script. Because we arrived in Seville only two days before the wedding, we met in person and went through the ceremony together. From the beginning we were confident that everything would be perfect. So it was! The guests enjoyed such a personal ceremony, everyone was very impressed. We loved seeing you smile in each photo. We are very grateful that you were part of our wedding and you were also able to enjoy the ceremony under the pergola. Also the blog, Diario de una Novia, is very fun to read. We recommend Diana to everyone! 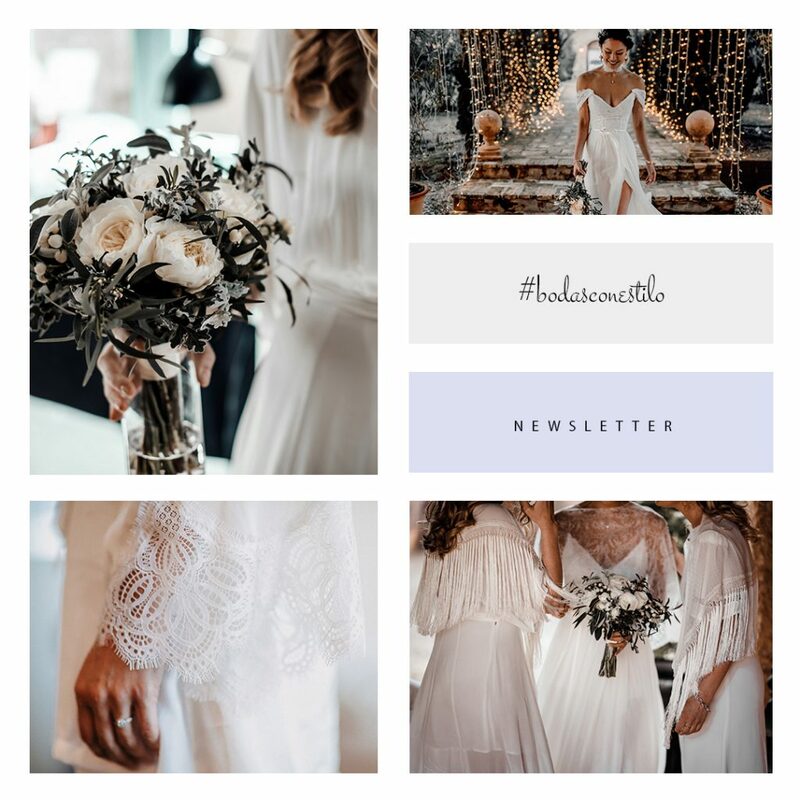 It was love at first sight, we were looking for a close, natural and personal wedding celebrant. Without a doubt, Diana created the ceremony we had dreamed of. All our guests cried, smiled and remember our wedding with a lot of love and feeling. He recommended the ritual of the sand, it is so beautiful! I recommend Diana 100% because she is a lovely person, when you meet her, you will notice. A little kiss from Sanlúcar. 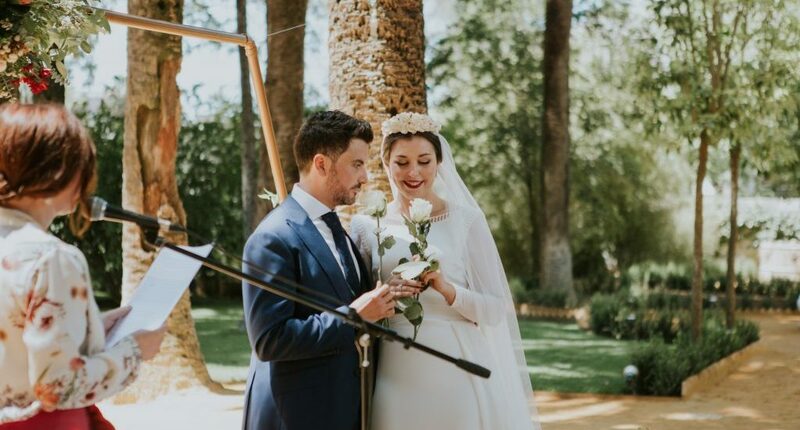 My husband Javier and I decided to contact Diana because, despite being the two Spaniards, we were getting married in Seville and many of our friends who do not have any notion of Spanish were invited to our wedding. 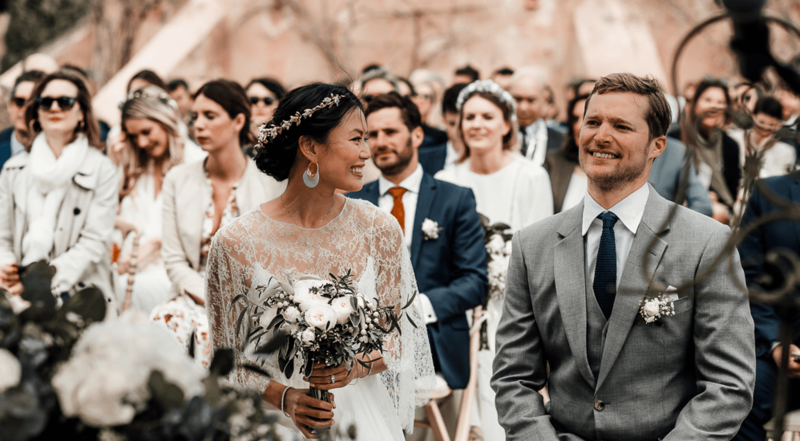 Diana created a very emotional bilingual ceremony, and our international guests were very happy to have understood every step of the ceremony. Diana knew what to translate and what not and in what amount so that the ceremony did not take too long. The communication with her was very fluid and and she always involved us in every step of the structure so that, in the end, it would come out as we had always dreamed. If you are looking for a a celebrant for your wedding and you are more or less in the same situation as us, we highly recommend her. Thank you so much, Diana for being part of such an important day.